기계 번역은 정말 어려운 일이다. 2008년에 유명 번역 사이트들이 우리나라의 "국기에 대한 맹세"를 어떻게 번역하는지를 확인하는 글 을 올린 적이 있다. 최근에는 번역이 어떻게 바뀌었는지 구글만 다시 확인해 보았다. 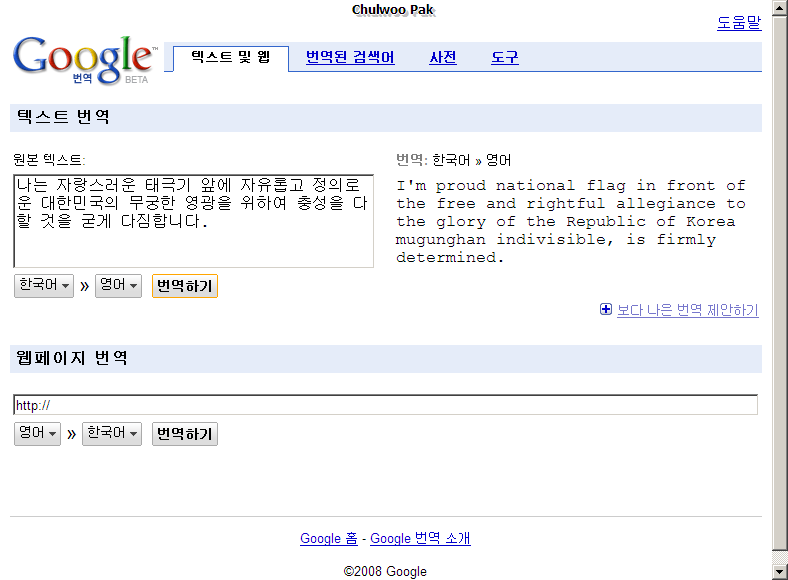 I'm proud national flag in front of the free and rightful allegiance to the glory of the Republic of Korea mugunghan indivisible, is firmly determined. 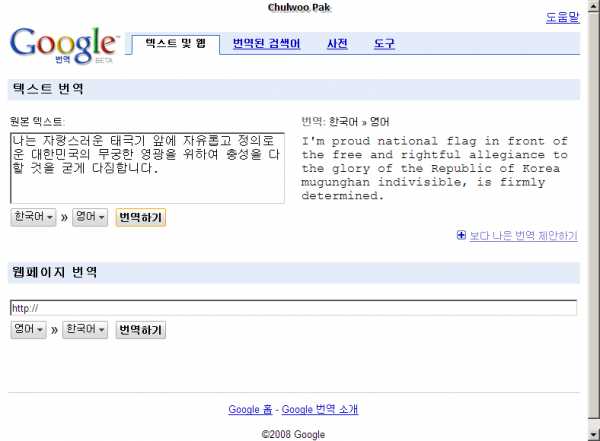 I am free and proud in front of the flag of justice to the glory of the Republic of Korea mugunghan firmly committed to the best of allegiance.